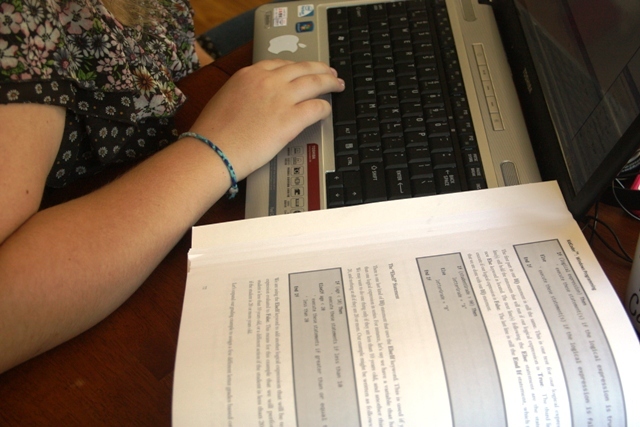 The curriculum explains how to download, install, and use Visual Basic software. 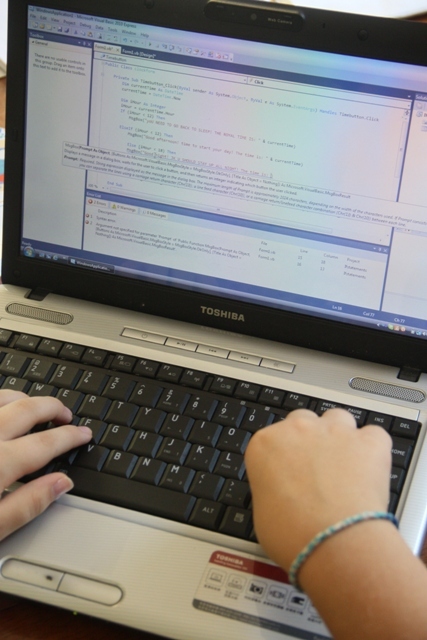 Armed with just her laptop computer and this Windows programming curriculum, Emma learned the foundations of using Visual Basic to write code. Quite impressive for a 13 year old! It was a great feeling to move from absolutely no understanding to being able to create simple programs with multi-step actions. We even have a private joke now about “button!” One day I told Emma she would be creating a button that would say “hello” when she pressed it. For a child who loves Instagram, a simple text button seemed pretty dull. But once she created it, she really was excited! It was a great feeling of accomplishment, and we laughed over her change of heart over her “button!” Now it’s an inside joke to say “Button!” in a goofy voice when something small gives us joy. Because I wanted to learn alongside her, we chose to read the textbook instead of relying on the videos. She is already doing a few subjects independently, and I didn’t want this to be another assignment she did alone in her room. I got the added benefit of learning some coding language too! Let me tell you, Kid Coder may have the word kid in it, but it’s not for little kids. This material was a challenge for me! 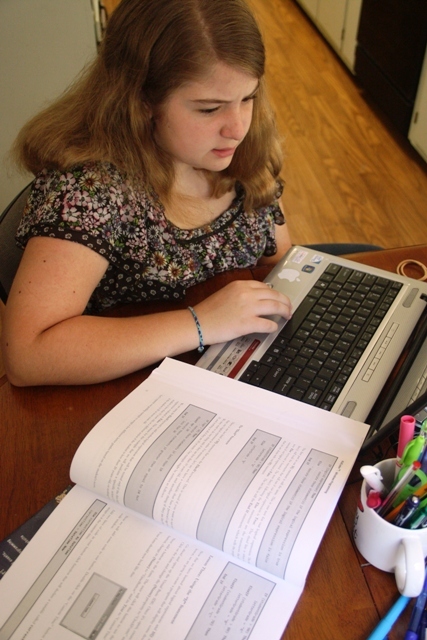 Homeschool Programming is not fluff. This is seriously practical curriculum. To prove it, my husband is working through the textbooks on his own since he is making a career shift into the IT field. He was pleasantly surprised at how thorough and well-planned out the curriculum is. When I went to TechCamp Memphis in November, I was pleased to see high school students there on a Saturday to learn more about coding and developing. (I even met a sophomore who was homeschooled!) I kept thinking that Homeschool Programming would be such a great starting point for a whole career in a growing and profitable field. Even though Emma has no intention of going into the IT field, I think it is to her benefit to learn the basics of coding. Emma seemed to catch on far more quickly than I did. That is probably because she grew up bilingual (speaking English and Chinese in China). Her language learning abilities are far superior to my own. After just a few lessons, she was making jokes based on the new vocabulary. If you know any coding, you will understand. When homeschool lessons make their way into family jokes, you know the children are really internalizing the material. A lot of information is presented before the application exercises, so it can be hard to absorb without context. But once you use the new functions, they are fun and rewarding. Again, Homeschool Programming is very thorough. Besides the step by step lessons, there are tests and solutions to all the exercises. 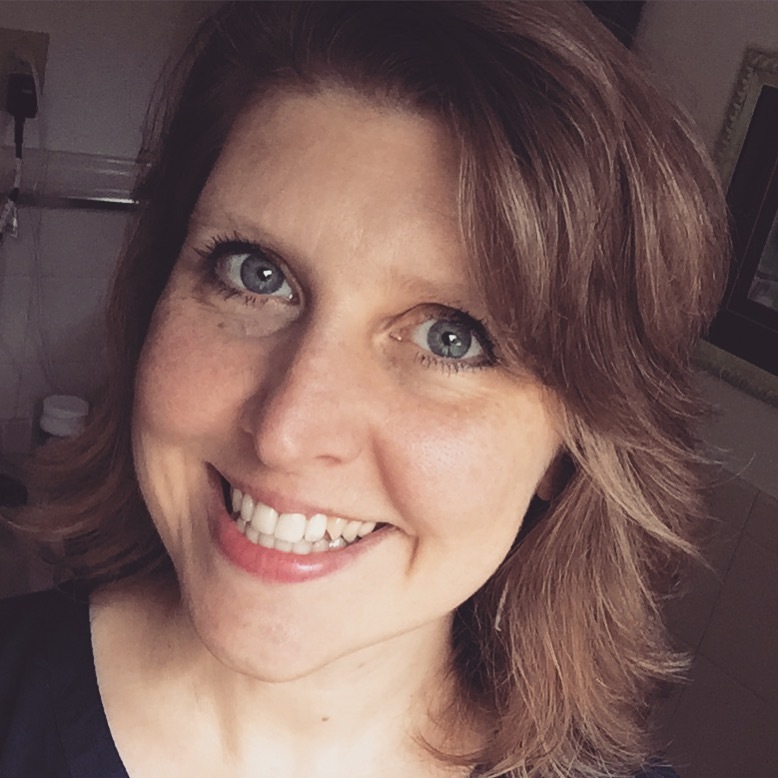 One of the major perks of Homeschool Programming, in my opinion, is the support you get. Christ Yust, the owner of the company and the writer of the curriculum provides online help via email. We sometimes had difficulties with the code that we could not figure out, and Chris patiently walked us through our problems, even directing us to pages in the book we needed to reference. Emma used screenshots to send him details of her problems, and that whole process was yet another learning opportunity for her. There was one time when we got the dreaded reply, “I’ve never seen that before!” Uh oh. But Chris researched it and my husband was able to follow his directions to get us back on track. Not a lot of courses include email support. Having that back up made me confident because I have no personal experience with programming. Looks of concentration are part and parcel with this curriculum. 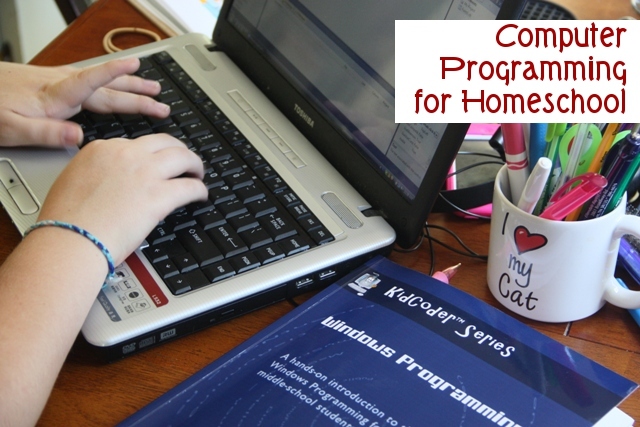 Homeschool Programming is a quality curriculum that I strongly recommend. As far as I know, there is nothing else out there that takes children from no understanding to writing simple code in just a semester. There certainly could not be any program that is better designed or provides better support. 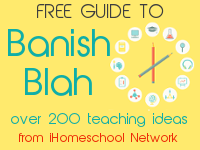 This curriculum is a good investment of your homeschool dollars. If you’d like to read more reviews from different perspectives and some of the Teen Coder series, see these posts by my blogging friends. And by entering their giveaways, you have a greater chance of winning, too! If you aren’t sure whether your child should learn programming, watch this well made video. It’s pretty convincing. Learning programming is equivalent to being able to speak the language of trade. I received this curriculum from Homeschool Programming and was compensated for my time in writing the review. This post does contain affiliate links. 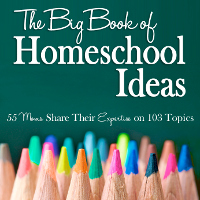 I heartily endorse Homeschool Programming as my honest opinion. This is an awesome giveaway! We’ve been looking for a coding program but wasn’t sure where to start. Thanks for the review! I would want to the kid coder. My oldest will be 12 in March. He would LOVE to learn how to do all this stuff, and I think he would be able to figure it out eventually even if it is a bit challenging. Thanks for the opportunity to win! Thanks for sharing! Our local 4H began a robotics competition team this year which my son was a part of and he really enjoyed the programming aspect. We will be looking into this program for use next year. Thanks again! I’d like the teen coder. This looks like a fantastic program! I would LOVE to win the Kid Coder kit and learn along with my son also. Thanks for your enlightening review. 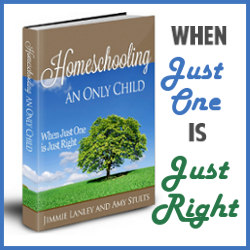 I loved the way you included general homeschooling advice in with this review. I need to find a way to fit computer programming in to Miss 12’s future studies in the next couple of years. So much good stuff to learn and only so many hours in the day! My 10-year old daughter has been trying to teach herself computer programming using various free resources and library books. This seems like it would be right up her alley. Definitely would start with the KidCoder books. Thanks for such a great review. I hadn’t thought of introducing computer programming. My son is not a computer type of kid. I can see the benefit of introducing him to Kid Coder. I introduced him to FLL robotics of which he had no interest in doing. Now he enjoys it. Maybe programming might he the same. We could use kid coder. It sounds like a great program. I’ve been trying to figure out how to teach computer skills. This looks like just the answer. I’d love to try this curriculum with my daughter, simply because I’m too lazy to put it together myself. I’ve got a computer science degree (along with her dad) and have been a software developer for almost 20 years now. Amazingly, neither of us have managed to impart any programming knowledge to our daughter. This looks perfect, but I keep wondering if it is worth the price since I *could* do it on my own. We’d love to try it out to see if it is worth continuing to use. I’d like teen coder! This sounds wonderful! I’ve been looking at this for a while. Maybe we’ll add it as a summer course, when my IT-pro husband can do some hand-holding (for me, not the kids – I’m sure they’ll fly through it, since they’re a lot like him in that regard). I am thinking my daughter and I could both use this curriculum! Thanks for the review! I would love the teen coder! Would love the kid coder. We are hs’ing my 11yo and his friend! They could both use it! I would LOVE to win the teen version! This is a very helpful review, Jimmie. I would be interested in the KidCoder…sounds very interesting. We played with programming on Khan Academy and really enjoyed it. I would like to win the teen coder. My son has been interested in this for a long time. I would love kidcoder. It sounds like a great program. We have experimented with Alice (free online from Carnegie Mellon), and enjoyed that, but need more. Alice is worth checking out though! I’d love this for my son, also an 8th grader. He is a techie!! My kids have been asking to learn programming. They would love the teen version. I have been trying to find the right curriculum to start them on. I have an up and coming graphic designer…14 He would love this! I’d like to win the teen coder! Thanks for the chance!